A Tribute to Martin Luther King Jr. 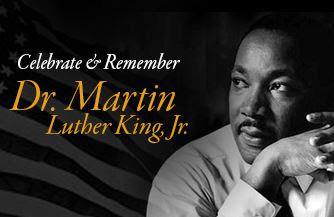 This year Martin Luther King Day will be celebrated Jan 21st. In honor of Martin Luther King's January 15th birth date, USBC President Ron Busby released the following statement: "Today we honor the birthday of Martin Luther King Jr., a civil rights hero, a humanitarian, and a steadfast advocate for economic justice. "The inseparable twin of racial injustice is economic injustice,"
"Today we honor the birthday of Martin Luther King Jr., a civil rights hero, a humanitarian, and a steadfast advocate for economic justice. MLK would be deeply disappointed to know the median wealth for Black Americans over the age of 25 has never amounted to more than 19% of the median wealth of similarly situated white Americans since 1989. It's statistics like this that remind us that wealth inequality is a dire economic injustice hindering Black business owners and the Black community at large. As the voice of Black business owners, we see ownership and entrepreneurship as viable solutions to narrowing the wealth gap. In honor of Martin Luther King Jr. we celebrate his contributions to economic justice and will continue to use our power to advocate for the growth of Black-owned businesses."